NBA superstar Shaquille O'Neal is Kazaam, a larger-than-life genie with a magic touch for nonstop fun and laughter! After 5,000 long years of captivity, Kazaam is set free to grant three wishes to a new master. From then on, he's catapulted to one wild adventure after another ... from becoming the latest rap sensation to untangling an outrageous mob scheme! 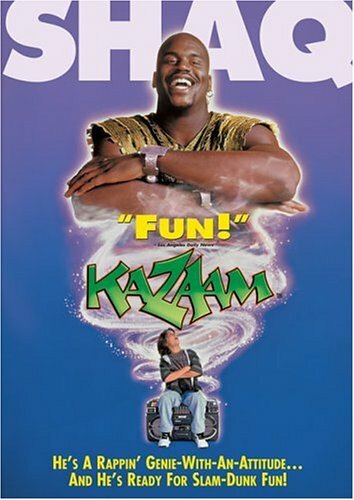 As the giant genie with an attitude, Shaq scores big laughs in this hilarious comedy hit that's sure to be a slam-dunk winner with everyone!